Because it is situated on a border between Tuscany and Emilia-Romagna, two completely different regions, the Tuscan-Emilian Apennines National Park offers many unique scenic drives. You can cross the Apennines through four spectacular passes and take a tour of the other side in a very short time. In less than an hour you will see both the landscape and even the seasons change, and you will be able to enjoy each region's stimulating differences in food, agriculture, and settlements. The four passes listed below were created in very ancient times and rebuilt over the years to provide easy passage from one side of the mountains to the other. The rides are very scenic and pass by the majority of the Park's towns and villages. See also this link to learn more about the different landscapes. Links Aulla to the Province of Reggio Emilia. Cerreto Pass is considered to be the Park's most scenic pass. Links Aulla to the Province of Parma and Reggio Emilia. One highlight of this drive is that it passes through the Lagastrello dam. One highlight of this drive is that it passes the the Lagastrello dam and its scenic lake. PASSO DEL CIRONE (SP42 & SP108), "road of the salt"
Links Pontremoli to the Province of Parma. Cirone is the most western pass within the park, and it has views of a more gentle landscape. In the past, the road was used to bring salt from the Mediterranean Sea to the other side of the mountains. Links Garfagnana to the Province of Reggio Emilia. At an elevation of 1,579 meters (5,180 feet), the Pradarena Pass is the highest road in the Northern Apennines. 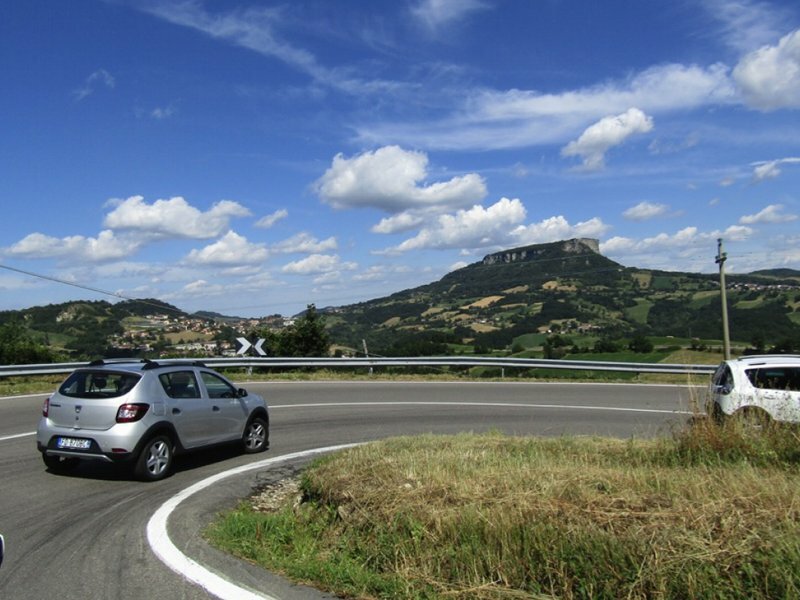 This drive gives great views of the Apuan Alps on the Tuscan side and Pietra di Bismantova on the Emilian side. Links the eastern Reggio region to Garfagnana.